» Beer! Bites! Beat Down!? There’s not another event quite like this one! What better way to celebrate the “hoppy” holidays than with a unique festival that involves beer and… beatdowns? No worries, you won’t be the one getting the beatdown. 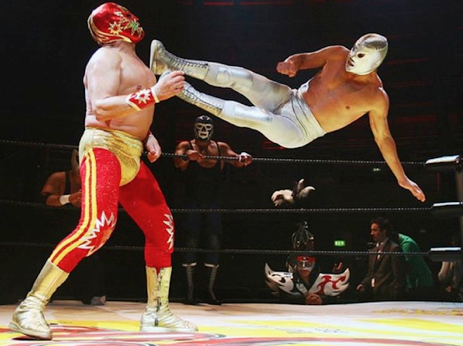 Beer Fest Beatdown is a unique craft beer experience presented by El Santa Diabla which means while you enjoy that craft beer of yours, you can also watch some lucha libre wrestling! 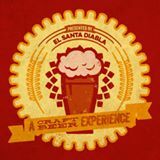 This event is sure to bring some winter thrills – with each ticket, you keep a commemorative tasting glass, 25 tasting tickets (!!! ), and full access to the festivities which includes way more than the wrestling. Another feature at the Beer Fest Beatdown that you’ve probably never experienced before is a cascading Beering-ham Fountain. Don’t get too excited, it’s full of expired beer so you probably don’t want to fill your cup but still, how cool is that? Other features include Santa’s Little Hoppers Workshop to create memorable cards and photos, an array of different food trucks to satisfy your hunger, and of course, over 100 craft beers from over 30 breweries. Some of these breweries include Revolution, Lagunitas, Goose Island, Allagash, and so many more! So don’t miss out on the beatdown Saturday, December 12 at the Sears Centre Arena!